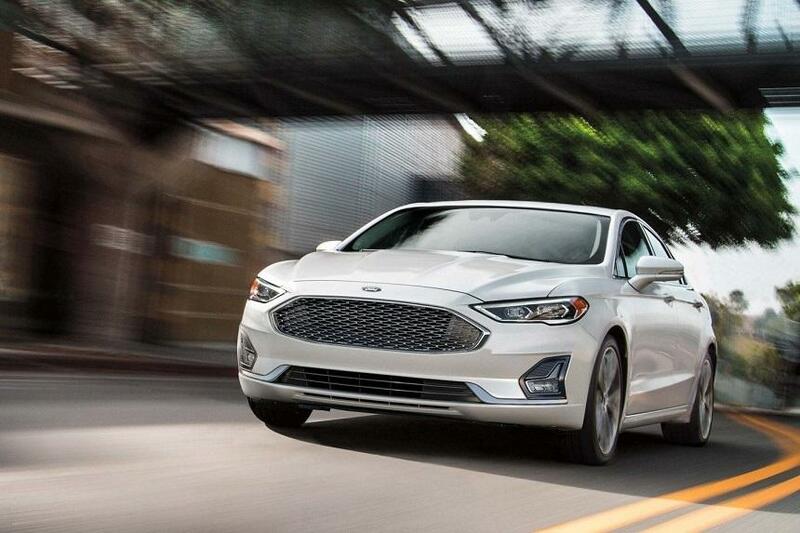 The 2019 Ford Fusion sedan is the first of Ford cars produced anywhere on the globe with standard new state-of-the-art Co-Pilot360 driver-assist technology. Ford Co-Pilot360 provides more standard driver-assist technologies that can help owners drive more confidently so they can enjoy the journey without excessive worry about the traffic around them. Automatic emergency braking with pedestrian detection helps reduce the severity of, or potentially avoid collisions with other vehicles and pedestrians who might accidentally cross in front of the car’s path. The Rear View Camera system displays what is behind your vehicle when you place the transmission in reverse and uses three types of guidelines to help you see what is behind your vehicle: active guidelines to show the intended path of your vehicle when reversing, fixed guidelines that show the actual path your vehicle is moving in while reversing in a straight line and centerline which helps align the center of your vehicle with an object. Every 2019 Fusion is equipped with Standard Blind-spot Information System (BLIS) with cross-traffic alert to detect surrounding vehicles – providing alerts if vehicles are detected approaching unseen from either side. To help avoid lane drift, the standard Lane Keeping System vibrates the steering wheel and can apply extra steering wheel torque to help keep the car centered in the lane. Ford’s glare-free high-beam system utilizes a windshield mounted camera to detect headlights and even bike reflectors at distances of up to 800 meters during the night and adjust the headlamps of the Ford Fusion to direct lighting away from the oncoming vehicle. Ford Co-Pilot360 Assist includes voice-activated navigation and SiriusXM Traffic and Travel Link. SYNC 3 with 8-inch LCD touch screen standard for Fusion SE and above models, while voice-activated touch screen navigation with pinch-to-zoom capability, plus SiriusXM Traffic and Travel Link is standard for Fusion Hybrid SEL, Fusion Titanium and Fusion V6 Sport. Beyond those features included in the Ford Co-Pilot360 Protect is a more advanced bundle of optional driver-assist technologies. Ford Co-Pilot360 Assist includes adaptive cruise control with stop and go, which automatically accelerates and brakes to a full stop when traffic halts, while maintaining a safe distance from the vehicle ahead. 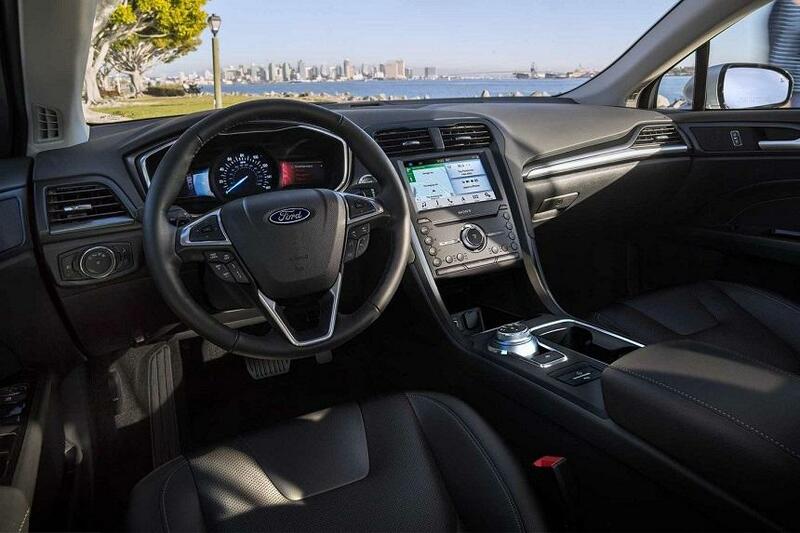 And there are even more additional standard and available features in the 2019 Ford Fusion than we have space to cover. The best way to learn more is to drive in to Van Isle Ford and talk to their expert staff to see which Ford Fusion best suits you and the way you drive.